The deltoid is usually stated as having anterior, middle, and posterior parts. The deltoid attaches from the lateral clavicle, acromion process and spine of the scapula to the deltoid tuberosity (approximately 40% of the way down the humerus). The name “deltoid” comes from “delta” which is Greek for triangle and “oid” meaning resembling. 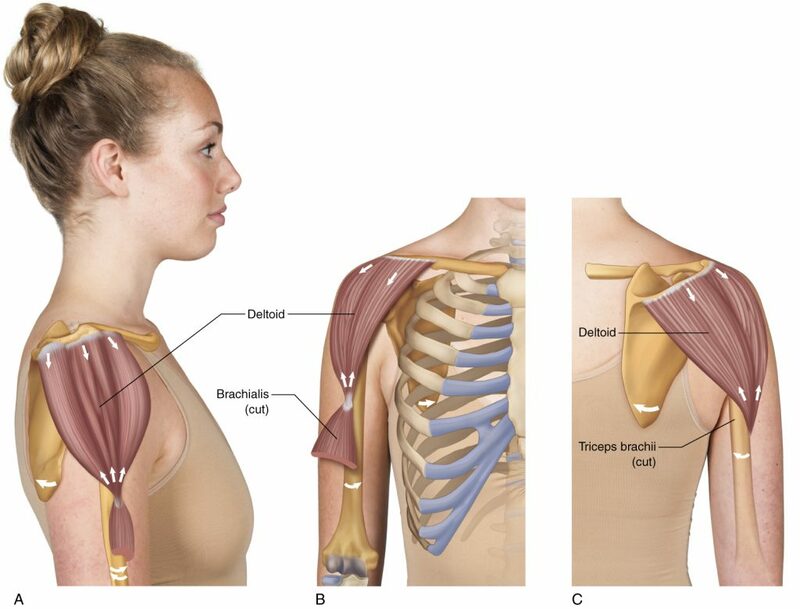 In other words, the deltoid muscle is triangular in appearance.